Looking for a refreshing drink this summer? 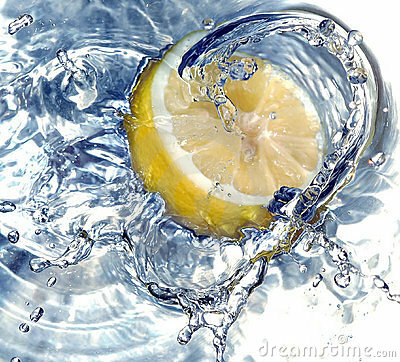 Add slices of lemon or lime to cold water as an excellent healthy alternative to soft drinks. Drinking lemon-infused water is great for your skin, fighting bacterial infections and colds and stomach problems. Enjoy! I am loving the makeup here by Petros Petrohilos on model Dree Hemingway. So creative and seductive. Work like this, is pure inspiration. I love it! Of course I love beauty shots, I’m a makeup artist, but Camilla Akran’s shoot for Numero Magazine’s May 2010 issue is just classic. The vintage appeal and soft hues are so attractive and work beautifully with the Anja Rubik’s tones. I am loving everything from this Vogue Paris shoot for February 2010. Anja Rubik’s makeup looks amazingly hot and compliments those exotic “pet” snake accessories. Are snakes the next big thing in the fashion world?